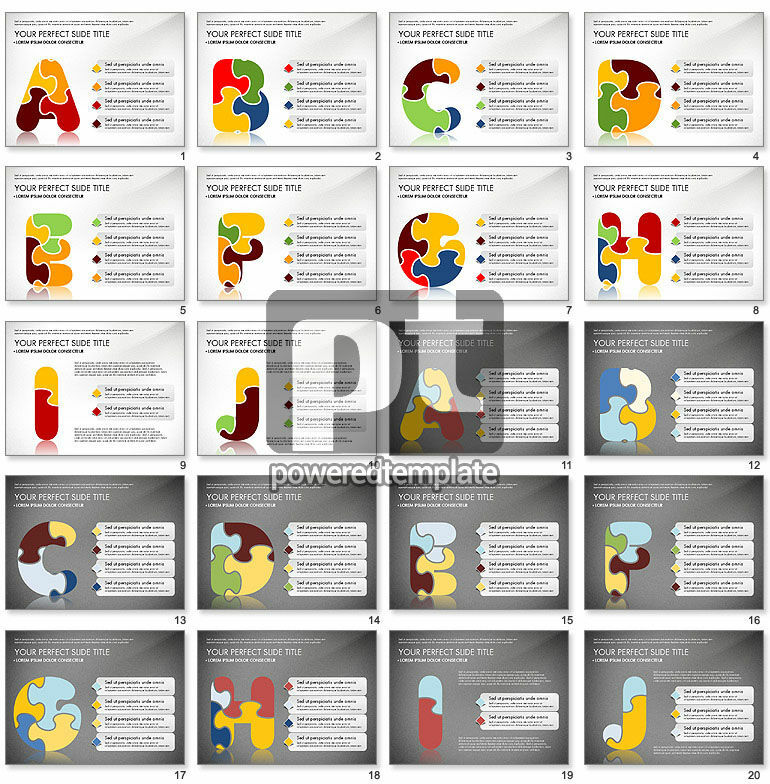 These presentation slides 48514 are complete compatible with Google Slides. Simple download PPTX and open the template in Google Slides. This theme speaks for itself featuring colorful letters made in a style of a jigsaw puzzle on white or grey backgrounds. Looking quite creative and surely clear for understanding the template will help you to focus the audience`s attention on the main points during the whole speech which may concern educational sphere of all kinds, business development strategies, startup planning and others.